We’ve all received them at one time or another. And now, it’s your chance to share. 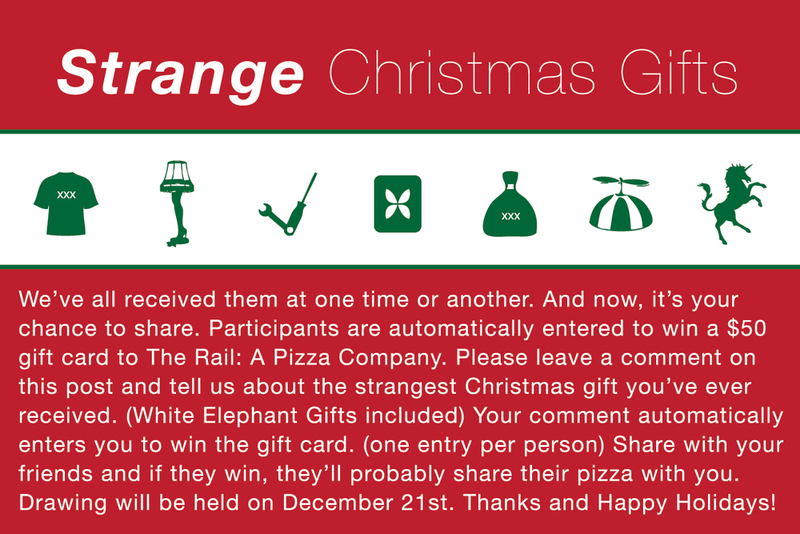 Participants are automatically entered to win a $50 gift card to The Rail: A Pizza Company. Please leave a comment on this Facebook post and tell us about the strangest Christmas gift you’ve ever received. (White Elephant Gifts included) Your comment automatically enters you to win the gift card. (one entry per person) Share with your friends and if they win, they’ll probably share their pizza with you. Drawing will be held on December 21st. Thanks and Happy Holidays!